Divide the lettuce into 2 serving bowls. Top with the prawns, avocado and mango. 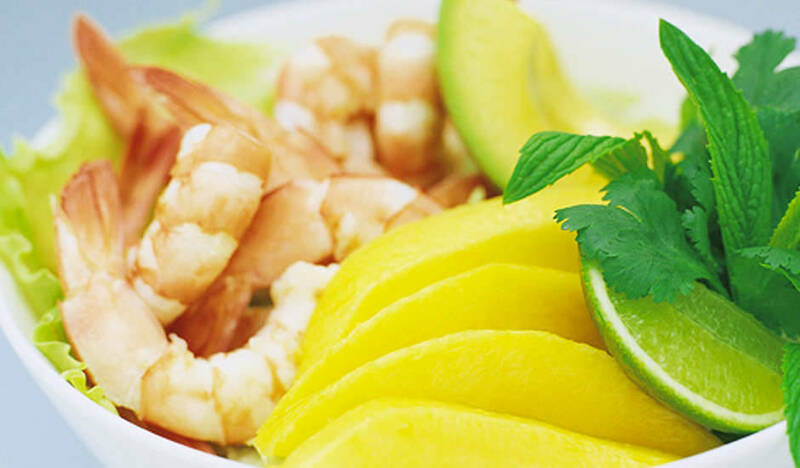 Garnish with fresh lime and serve with dressing. Tip: When serving, in place of the ranch dressing combine the juice from half a lemon, ¼ cup olive oil, a pinch of salt and sugar then drizzle over the salad just before eating.